HERAT -- Iran's Islamic Revolutionary Guard Corps (IRGC) is employing a variety of pressure tactics, intimidation, financial incentives and empty promises, including assurances of Iranian residency, to convince thousands of hapless Afghan refugees to fight -- and die -- in Syria. For example, the IRGC has threatened Afghan refugees in Iran with deportation to Afghanistan unless they agree to fight in Syria. "[The IRGC] took me and five of my friends to a room and told us that it would give us 6 million Iranian rials ($142) to go and fight in Syria," said Zainullah, 16, who has just returned from Iran to Afghanistan. "If you are killed, we will bring your family from Afghanistan to Iran and will provide them with housing and money," Zainullah told Salaam Times, quoting the IRGC's false promises. Zainullah and his friends did not accept the offer. "Six of my close friends were killed in the Syrian war," said Ali Ahmad, 22, who lived in Iran for three years and recently returned to Afghanistan. "It encourages young people and [takes advantage of] their desperate living conditions. The IRGC threatens those who do not have legal documentation [in Iran]. When I refused its offer to go and fight in Syria, it deported me," Ahmad told Salaam Times. The casualty numbers of Afghan recruits fighting in the Iran-backed Fatemiyoun Brigade, a ragtag militia of predominately Shia Muslims, are alarming. "More than 2,000 Afghans have been killed and over 8,000 others wounded in the past five years while fighting for the Fatemiyoun Bridge in Syria," Zuhair Mujahid, a Fatemiyoun Brigade official, told the media January 5. Aziza Karimi, a former Afghan refugee in Iran who recently returned to Afghanistan, told Salaam Times that her cousin Zulfaqar was killed in Syria after Iran sent him there, leaving his family without a breadwinner. "My cousin fought for Iran and was killed in Syria, and there is no one now to support his family. On the day [Iranian authorities] brought his dead body, they paid [his family] a small sum to cover the funeral expenses," Karimi said. "They came over a few times and called him a martyr -- after that, they forgot about his family," she said. For other families of slain fighters, the IRGC refuses to make good on their earlier promises of providing these recruits or their bereaved families the respect and money, as they "tell these families that their sons fought for money [and not Iran]," Karimi said. "Zulfaqar left behind a son, but nobody is supporting him either," she added. "My cousin Mustafa, 16, who was living in Tehran, was killed in Syria a month after he went to fight there," Ali Reza, 25, who recently returned to Afghanistan from Iran, told Salaam Times. 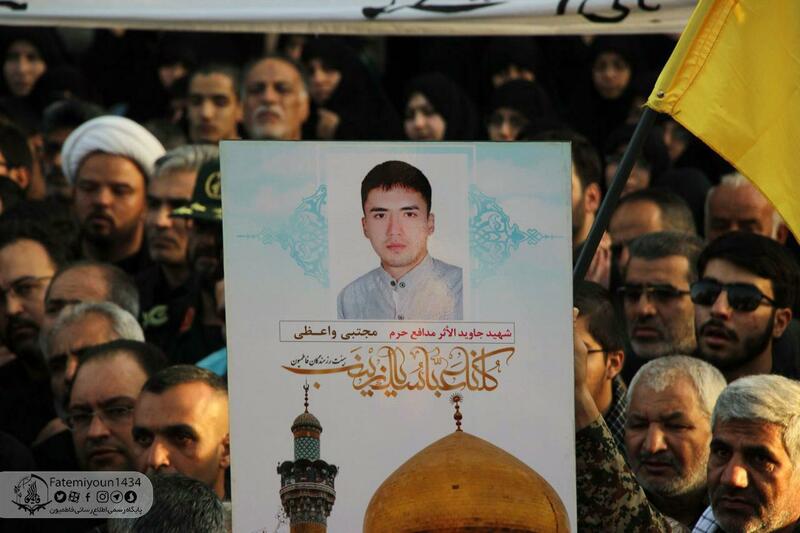 "[IRGC members] visited Mustafa's family the first few days after Mustafa's death, thanked the family and provided them with some help," he said. "But with each passing day, [the family was] forgotten." "[The IRGC] had promised Mustafa's family a house... it has been six months since he was killed, but there is no house," Reza said. "[The IRGC] pays 3 million IRR [$71] per month to each Afghan who goes to fight in Syria. Once [the IRGC] recruits and registers these young Afghans, then they have no way out and they must go and fight in Syria," he added. 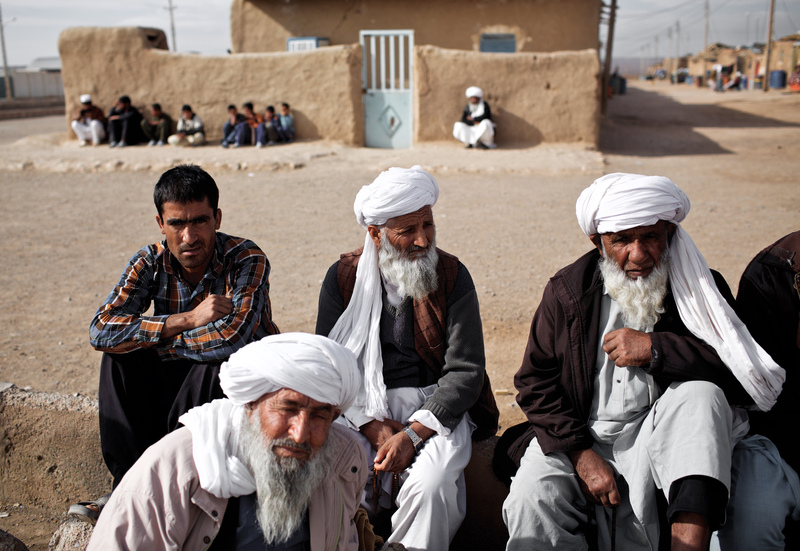 In addition to coercing Afghans into fighting in Syria, Iranian authorities regularly mistreat and abuse Afghan refugees, including keeping them out of housing or of school. In many cases, children of Afghan refugee families are not allowed to attend public school and have to attend specially designated schools. "They expelled me, my wife, and our two children from Iran," said Rajab Ali Haidari, 38, from Badakhshan Province, who recently returned to Afghanistan and lives in a United Nations refugee camp in Herat Province. "The Iranian armed forces extort money from Afghan families," he told Salaam Times. "They beat women and children in the worst possible way. They treat Afghans like animals." Maryam, 35, told Salaam Times that she endured mistreatment by Iranian authorities, and recently deported her with her three sons. "I am pregnant. But the Iranian authorities locked us up in a bathroom for three days and nights," she said. "They beat me with clubs. They did not provide us with any food or water, to the point that I had to give bathroom water to my children." "Afghan diplomatic missions in Iran should support Afghan citizens in that country. They [the Afghan embassy] must defend the rights of their citizens in accordance with international law," Mohammad Rafiq Shahir, a political analyst in Herat Province, told Salaam Times. Iran is sending Afghan citizens to Syria, confirmed local officials in Herat. The [Afghan] government is opposed to the involvement of its citizens in the proxy war in Syria, said Jilani Farhad, a spokesman for Herat provincial governor. "If any evidence is found showing that Afghan youths have taken part in the Syrian war, they will be prosecuted upon returning to Herat," he told Salaam Times. 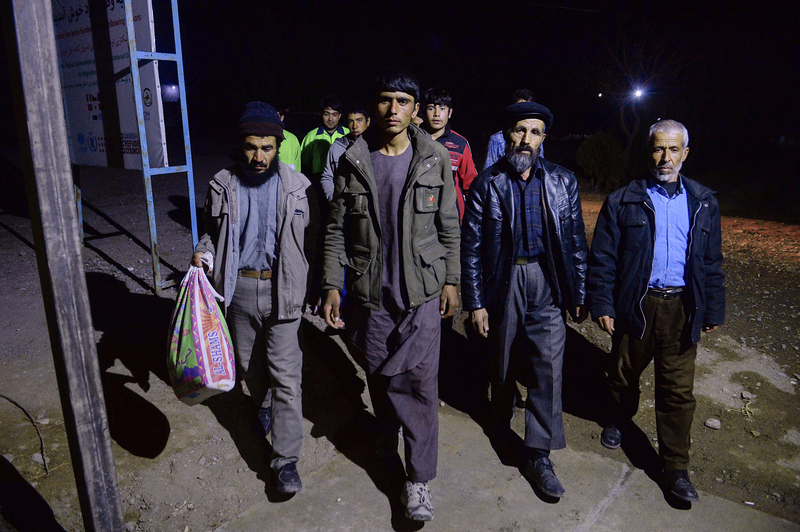 Iran is taking advantage of Afghan refugees' desperation, promising them money and residency permits if they fight in Syria. Facing economic hardship and abuse in Iran, many Afghan returnees say they will 'never go back'.